Dean Tercel presents a series of works that are a snapshot of places that are familiar, yet often vague and distant, existing at the peripheries of our vision. Tercel's interest in buildings lies not in their architectural merit or function, but rather as markers that trace the boundaries of our urban environments. 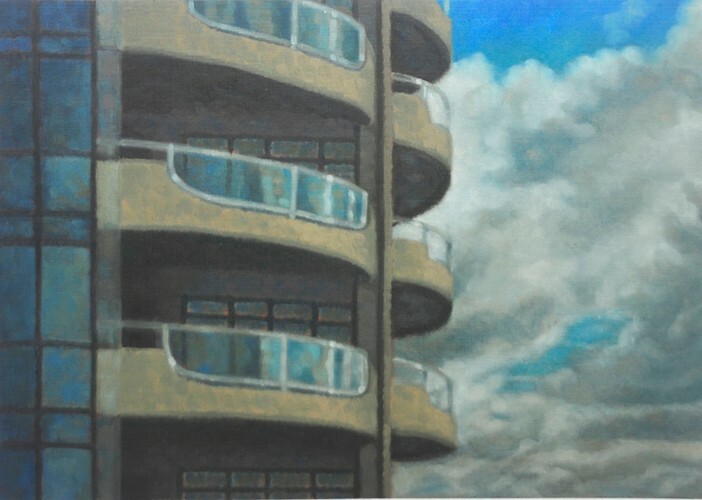 Using a new approach to a new subject, Tercel purposefully paints these buildings with a diffused focus to create a tension between what our eyes see and our mind knows. This slight blur also allows him to explore and enjoy the pure act of painting, with strong colour shifts and varied open marks.